Buzzword alert: student-centered classroom. Have you heard that term recently? If you are a teacher, you’ve probably heard an administrator say it recently. If you’re an administrator, you’ve probably said it (guilty as charged!). A student-centered classroom moves away from a one-size-fits-all approach and focuses on learning opportunities that are differentiated and motivating to maximize learning mastery. Students have to be self-directed, familiar with their strengths and weaknesses, and elicit help from others when stuck. Teachers need to collect evidence to understand student proficiency as well as continually monitor growth toward learning challenging college- and career-readiness standards. Such an approach to learning and teaching is placing new demands on both teachers and students and, at times, it can become unmanageable. Although I can’t profess to say that I know how to save the day for our teachers and staff, what I can share is that no matter what role I have played in education—classroom teacher, principal, professional learning coordinator, district curriculum director, county curriculum director—the integration of technology APPS is one avenue that I have seen teachers use to design, develop, and assess learning experiences that help to redefine their classrooms and meet the demands of a student-centered classroom focused on 21st century curriculum. The usage of these APPS has not only exploded in language arts and math because of higher accountability expectations, but also because they quickly motivate students as well as effectively help to manage the classroom, hallmarks of effective technology integration. You’ll notice that the word APPS is capitalized in this case. This is not a typo. When I encourage a teacher to use APPS, I want them to consider four things: how this application will help students Acquire meaningful content standards; how the application will help students Progress through meaningful feedback; how the application will measure Proficiency of student learning, and how the application will Support the student in learning content. Below, I outline four digital tools that, along with the APPS acronym, can redefine a classroom by facilitating higher order learning activities that encourage self-directed learning and ongoing assessment. 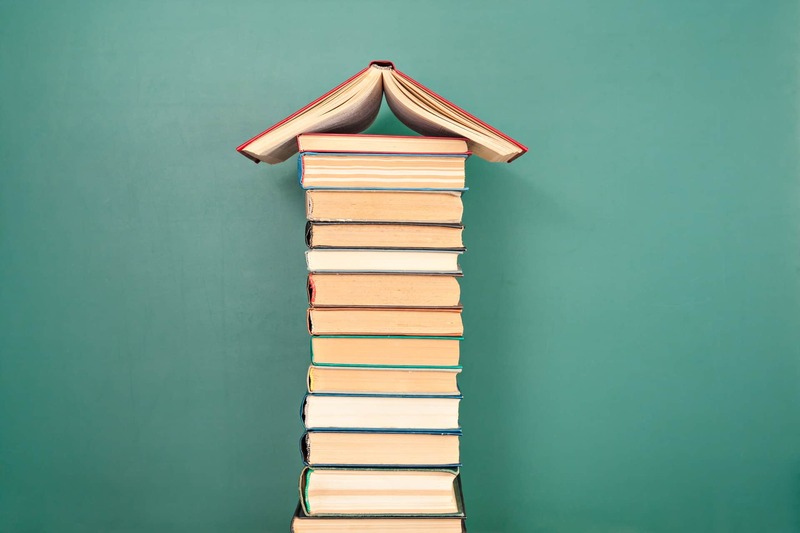 Although this post is tied to language arts, many of these tools are applicable for usage in all kinds of different content areas. Whether you are tech-savvy or not, all of these free tools are simple to use and require limited know-how. But just in case you want some guidance, a list of instructions, sample classroom applications, and how-to videos for each of these tech resources can be found at the following link: https://goo.gl/VoxFw3. Tool 1: Recap. This is a tool that I discovered in late May of 2016 that can be used in any content area where kids need to explain their thinking. What happens is that teachers provide students with a task; then, students record a video response. 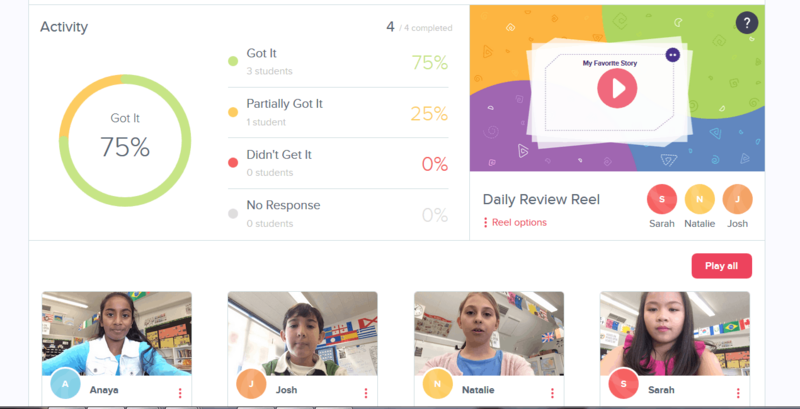 The teacher receives responses and can provide feedback to students on their video as well as share exemplar videos with students in the class. Using this tool gets at those often-forgotten writing, speaking, and listening standards while also encouraging students to share their thinking and to reflect on their progress as proficient readers and writers. Here’s one literature activity you can do with this tool: students read a story with several characters in it. Students adopt one of these characters’ personas. The teacher asks the two students to have a video-conversation, dialoguing about a topic from the perspectives of the two characters. Aren’t working on literature? No problem, try this with informational texts: students can be placed in jigsaw fashion with different articles arranged around a theme. Students can record their key insights and then the videos can be used to compare and contrast as well as document evidence to support a claim or argument. 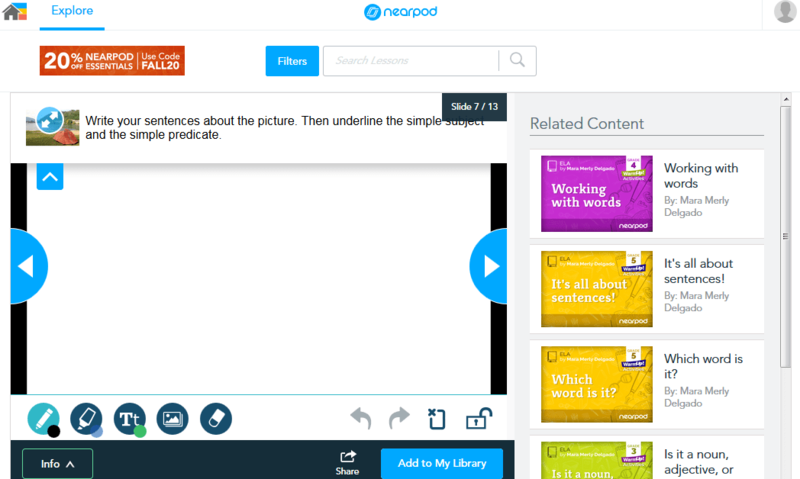 Tool 2: Nearpod. This is a slide deck tool with embedded questions that helps students process content. It is as simple to use as building a PowerPoint slide (although it has many other applications) and then adding question elements throughout. In the language arts classroom, try embedding a complex text that you want students to analyze in the slide. Insert the drawing tool right onto the slide. Students can instantly show you where they are finding the main idea and supporting details using different colors, etc. Once you see their responses, you can differentiate and send them different links to practice. You can also embed multiple choice questions and short answer questions to check for understanding as well. Responses can be shared with the whole class or tracked for understanding so everyone can be on the same page. Tool 3: ActivelyLearn. 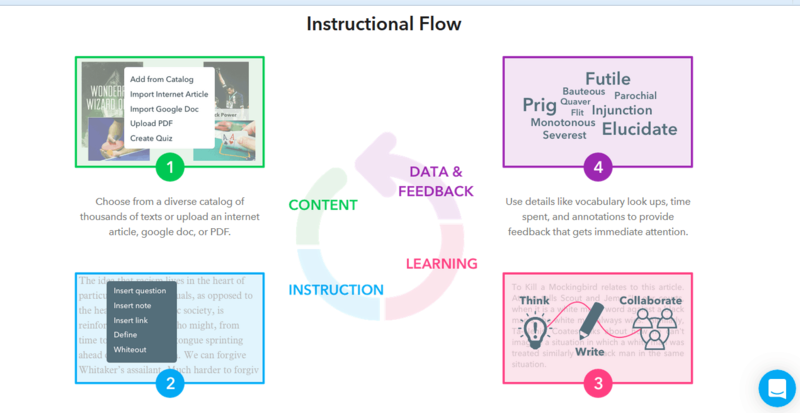 As its website boldly declares, ActivelyLearn’s “interactive reading platform enables teachers to use evidence-based practices to improve learning.” Take an Achieve the Core reading or another complex text and embed it within the system; then embed questions that you align to various standards. As students are reading, the system prompts them with questions; students can also take notes and build a learning journal as well. There are a bunch of upgrades that teachers can reasonably purchase with this app, but from my experience the free version does just fine. Tool 4: Today’s Meet. This last tool is one of my favorites of all time – it is so very versatile. 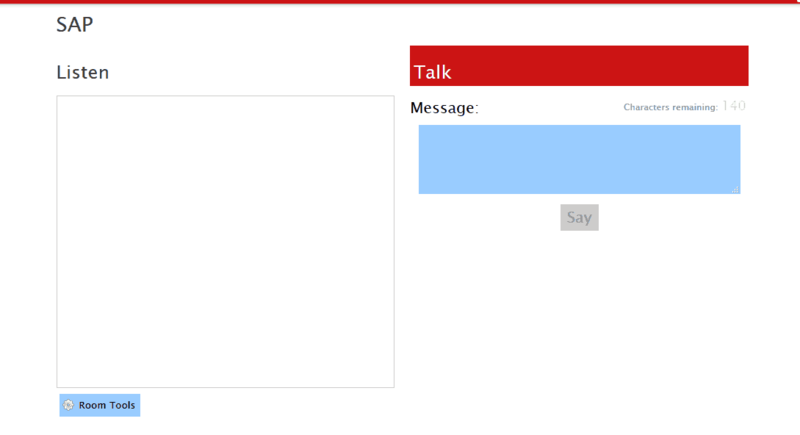 This tool allows ALL students to interact with each other at the same time. All you do is head to the website, open a new room, and give students the link. You can ask students a question and they can immediately share thoughts and responses with the entire room and the teacher can monitor understanding. Up the ante by having students watch a video and comment on it, asking for clarification, defining terms for others all while the teacher is interacting with the class. In the language arts classroom, consider using this tool for writing and doing a “rotating story.” Start the classroom with a story starter. Have each student add a new sentence to the story and then watch the story unfold! Or, maybe you want individualized practice, in which case have each student create a room and then the students can each visit the rooms of other students and add a sentence. As you can see, these APPS really take learning to the next level—they transform our classrooms into student-centered classrooms where all kids can learn and meet our academic learning standards. Through the use of APPS, I know that you’ll find ways to further motivate your students while they learn important language arts content and strategies. Already using these tools? Email or tweet to us how you are using them! I’d love to learn more from all of you.